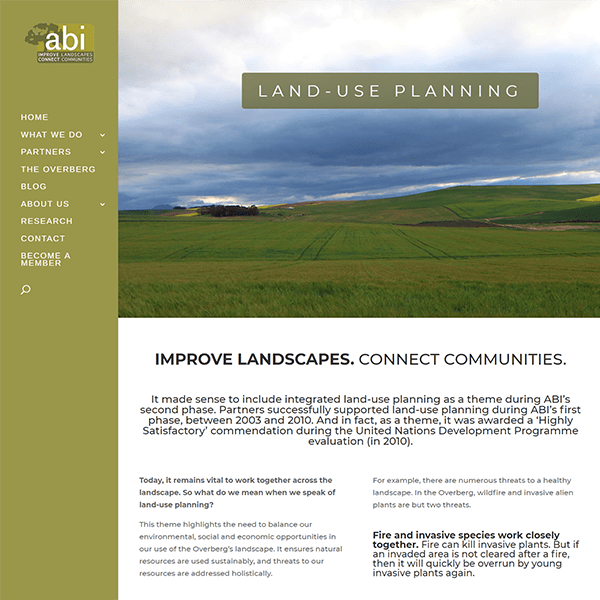 How do you capture the essence of a landscape initiative? (And what exactly is that?) Well, that was our brief: make the Agulhas Biodiversity Initiative come alive digitally for partners (and make sense for those who don’t know the organisation).